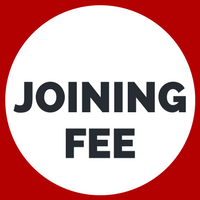 It was agreed at the last AGM on 6 March 2018, that a joining fee of €10 per person will be reintroduced this year. This has now been put into effect. The Karlheinz Trophy was very kindly presented by CBYA member John Allison, in memory of our former Boating Officer, Karlheinz Witte, who tragically died last year. Click HERE for more details. The Committee has decided that this trophy should be awarded to the CBYA member who has achieved the most ON THE WATER in whatever boat (or boats), for the benefit of CBYA members, during the previous twelve months. The achievement could be related to racing, cruising, raft-ups and/or overseas cruising. If you would like to nominate someone who you feel is a deserving recipient of this award, please contact me by latest Monday 14th January. You can click HERE to send me a CONFIDENTIAL nomination by e-mail. The committee will then pick from the list of nominees put forward prior to the CBYA Awards Dinner on Monday 21st January. We are sad to report that Tore Naess, a long-time CBYA member, and owner of S/Y Magdulena, died on Wednesday 19 September. Tore’s health took a dramatic downturn in recent weeks. Investigations discovered prostrate cancer resulting in him starting chemotherapy a few weeks ago, which apparently had a bad effect on him, and he developed serious respiratory problems. He was airlifted from Denia hospital to Elche where he passed away. 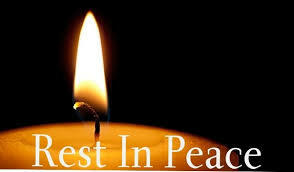 His funeral took place on Tuesday 25th September. Please join me in expressing our condolences to his family. Karlheinz Witte was the CBYA Boating Officer from 2014 – 2018. On Monday 27th August, his widow, Aura, and the CBYA, fulfilled his last wishes – to be laid to rest at sea off Denia castle.